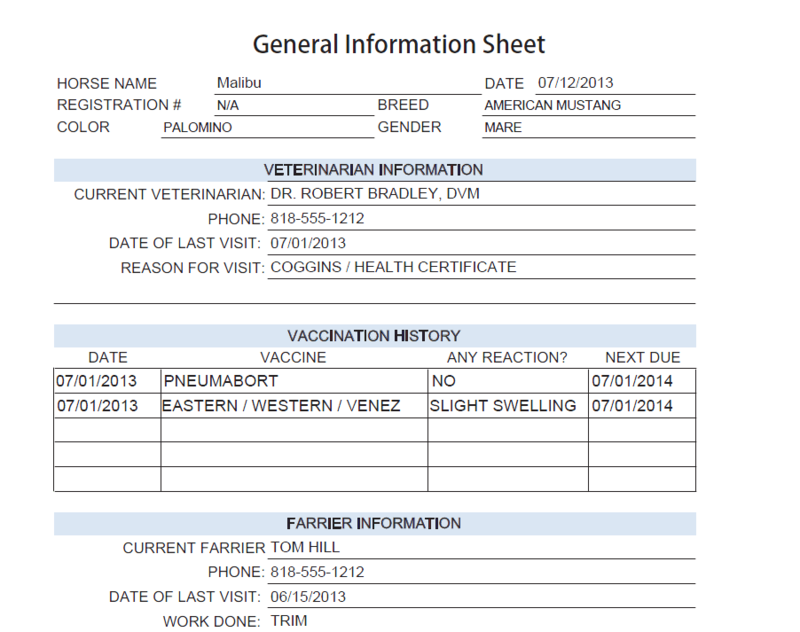 This general information form is handy any time you need to provide (or obtain) general information about a horse. 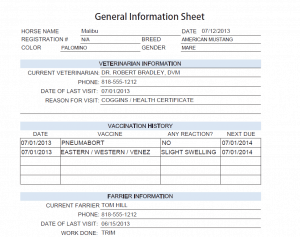 This would be useful during the sale / adoption process as well as when switching boarding facilities, traveling to a show, or even as a general information sheet for your horse sitter. Remember these are free and you can print as many as you like but send your friends over to my website to get their own copies!